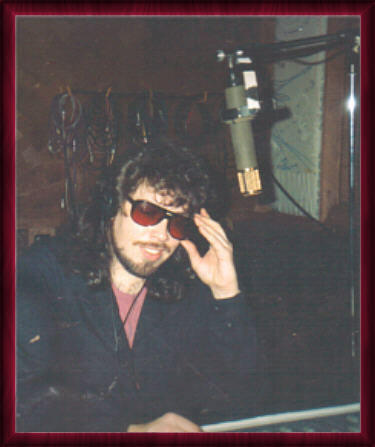 During the 1994-95 season, Thorne hosted his own talk radio program on KIEV 870 AM, Los Angeles, The Bottom Line. Despite tripling his Arbitron rating in only 6 months the time-share radio station deemed that his revelatory declarations and provocative insights were far too controversial and declined to renew his contract when he refused to add milquetoast to his show. Thorne did topics of the ages, current events, and trips to the wild side with dynamic flare and unvarnished analysis. Since then he has been a guest, co-host and host on the air, prophetically expounding on the ways of the world and shamelessly promoting his endeavors on stations that broadcast into dozens of national markets and are heard online worldwide, garnering strong opinions in support and dissent of his outlandish stance and outrageous assertions. Now you can listen to Thorne Peters discourse on the subject of your choice below . . . but be prepared . . . This is not for the pedantic of view and narrow of mind. If you are a vapid, witless drone, save yourself the humiliation that comes from genuflecting superficially at the enlightened ideologies of a prophetic rara avis and return to the placid serenity of the music page now. But if you are ready to expand the paradigmical parameters of your current understanding then intrepidly proceed and dig the revelation. As one who has had the good fortune to be involved with tremendous on air talent, I was truly impressed by the ability of Thorne Peters, and personally believe he has as much or more talent than anyone working on the air today. He is a natural. Whether you decide to book him as a guest or slot him for his own show, you and your listeners will be in for an on air experience like no other. Jon Lindquist, Operations Manager, KLAV 1230 AM, Las Vegas, NV. KLAV 1230 AM, Las Vegas, NV, with: ALEX & KYLIE * THE HOT 98.1, Hattiesburg, MS, with: WHEELS & GENNA * KFI 640 AM, Los Angeles, CA, with: SCOTT GREEN * WKVL 105.3 FM & 850 AM, Knoxville TN, with: WALKER JOHNSON * CFRB 1010 AM, Toronto Canada, with: JIM RICHARDS * WRQK 107 FM, Canton OH, with: MATT SPATTS *WRCK 107.3 Albany, N.Y. with: BILL KEELER. . .